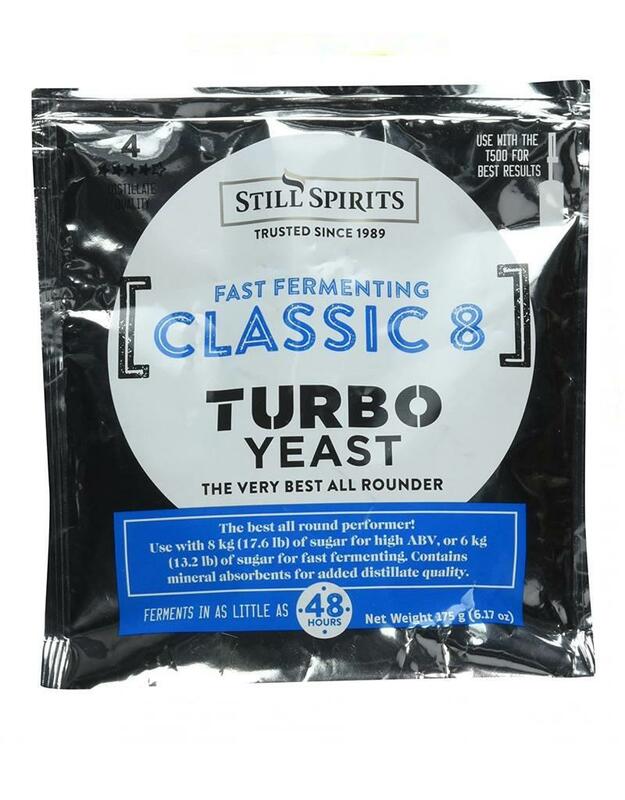 Classic is the best selling Turbo Yeast world-wide, performing excellently under most conditions, fast, capable of fermenting 6kg of sugar in 36 hours. It reaches 18% ABV where 8kg of sugar is used and has excellent temperature tolerance. 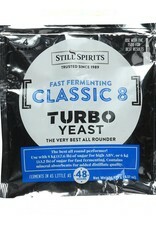 Classic has been further improved with the inclusion of new mineral absorbents, further improving distillate quality. We recommend you use Turbo Carbon as it will significantly improve the performance of Classic Turbo.